So, here we are for our first post on this styling series. courtesy of my introduction post earlier today. and showing you guys how it's been styled. 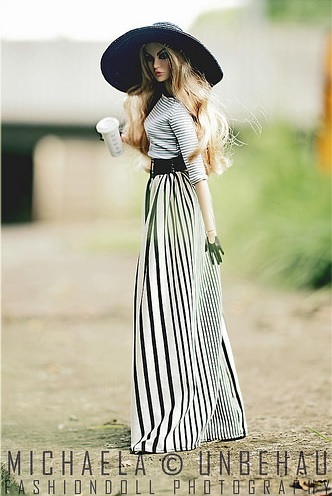 but also to feature our dolly friends' styling genius! can transform an outfit, a doll or even a mood. is the classic Striped Top, or as some call it the Breton shirt. A quick background from the internet: The breton shirt was originally worn by the French navy seamen as work clothes in the late 1800s. Coco Chanel re-styled the breton shirt for women to wear, too. both in films and real life, that it eventually became a classic piece of garment. in the fashion blog world. So why I love it, why it's on my dolly closet and first on HtDS series? So how do you style this chic top? Let's see from my archives. My dollies wear it with leggings! while Bree chose to get the edgier textured pants. Aya, I think, was at that time off to a Sunday flea market trip. 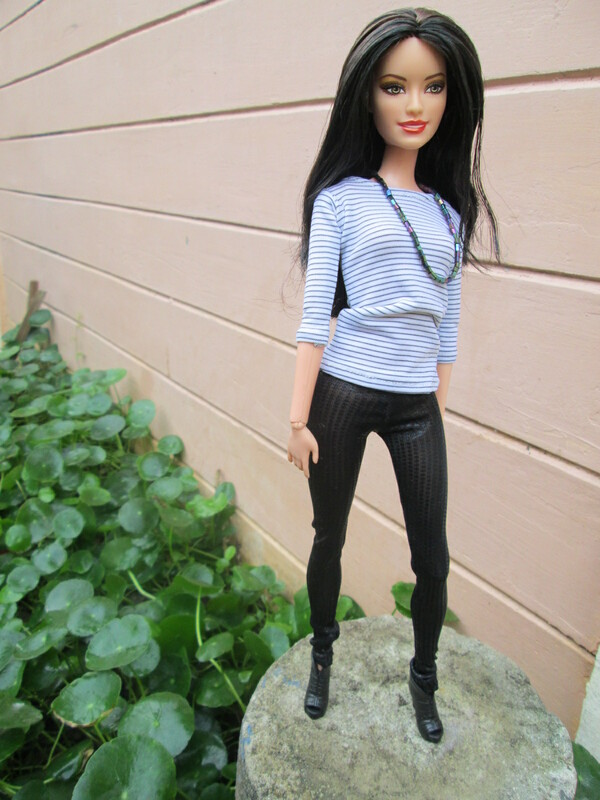 Bree quickly posed for me before going to have coffee with her friend Tamica. The girls pretty much wore this top for casual, day time activities. As for Sunny and Cece, the striped top is perfect with shorts. the talented published doll photographer Michaela Unbehau. I love how she breathes new life into this striped top. So chic, yet so classic, with those skirts, yes? And this next photo of an uber cool Dynamite Girl is from Nadine of Napudoll fame. I like how she looks like a chic country singer! like she just popped out from a cinematheque, right? Relaxed, confident, chic. Major love! How about this Elise by Mimi, in her oh-so relaxed dairy day.. So, as you can see, this top can be dressed up or down, yes? And that's a wrap to this first post of the How to Dolly Style series. as I go through and learn in the next few weeks. Let me know what you think of this series..
things you relate with, anything! Hi Shasha. I really like your series!! It is amazing to see that one piece worn to give different looks. This is like a fashion blog. Please keep it coming. I would love to see a part 2 to this to see the night life style using this top. Great post!!! Thanks so much, Georgia Girl! As a fashion maker, I need to really think harder with styling to make my pieces inviting, as well as to be economical and not buy everything that is out there. Glad you like it! The night life look will be pretty tough but I'll take up the challenge... I'm hoping to get the part 2 soon! Wonderful pictures and fashion ideas Shasha! In my mind the breton shirt is associated to Pablo Picasso, and Capri's summer fashions of the 50's. But it is such a versatile fashion item! Thanks so much, Billa! Yes, Pablo Picasso did famously sport this breton shirt and I agree with the beach, summer and relaxed feel of it reminiscent of Capri - I've never been there but it's on my bucket list of places to visit :) Thanks so much! 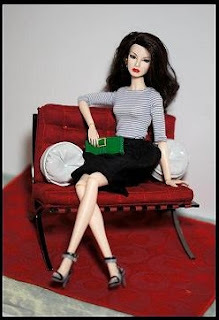 Hi Shasha, this piece is a real classic that has to be in every woman's (and doll's) wardrobe! The photos of the different combinations are great! 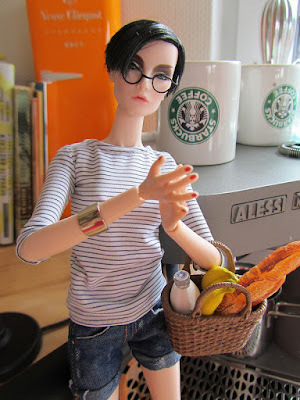 I look forward to next "Dolly Style" posts :-). Thank you, dear... I'm so happy that Michaela gave it the skirts flavor because I really didn't get to take photos of it with skirts.. I'm excited to style for night outs and when layered, hopefully next week... Hugs! This will be a great series to follow, especially with all the great information your sharing. Oh, thank you, Brini... I'm glad that you guys are excited about this, too! 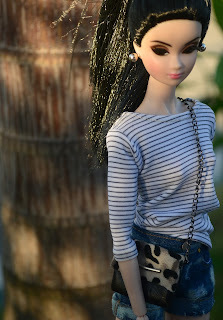 I am aiming at giving all I got to help out our fellow doll collectors enjoy collecting more by feeling eve more positive with what they see in their dollies - fabulous styling! The striped top is cute and very versatile as you have illustrated. Thanks so much, Debbie... I'm hoping to make more these kinds of dolly clothing - cute and versatile!